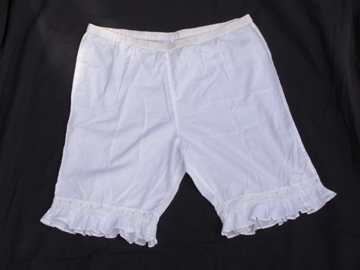 Cotton pantaloons with elastic at waist and lace and tucking at bottom hem. 100% handkerchief cotton. Machine wash and dry.